Linda Outka is a certified coach, speaker and trainer. She is the founder of Breakthrough Solutions, Inc. which creates space where people feel safe to be real and discover new insights that open doors to their potential. Linda is also a founding partner on the John Maxwell Team of coaches, speakers and trainers. Linda has been a coach, speaker and trainer in the business world for more than 20 years, 15 of which have been in the field of employee relations and organizational culture shaping. 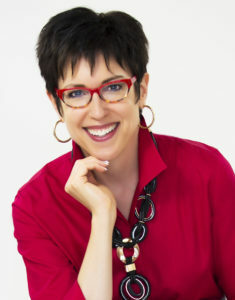 She has a number of coaching and team building certifications including Fierce Conversations, MBTI, EQ-I, Prepare/Enrich, FIRO Element B, and Professional DynaMetric Programs (PDP). Linda is also certified with The Deeper Path and Your Secret Name teams. In group or one-on-one settings, Linda uses these models to help people gain clarity on their identity and life purpose. Linda has a Bachelor of Arts in Communication from the University of Northwestern in St. Paul, Minnesota, and a Master of Arts in Human Resource Leadership from Azusa Pacific University in Azusa, California. Linda lives in South Dakota with her husband and three children.